Farlight Explores has been Greenlighted so It's awesome, Thank you for all your support and votes, I'm really happy with the results and I'm working on release the game on Steam as soon as possible. 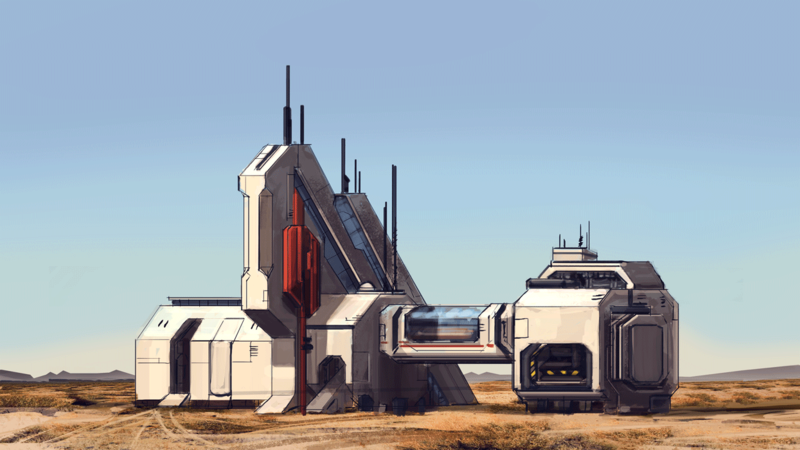 Right now I'm working with the Concept artist in order to create the detailed design of each building of the game, I hope to have these design soon beacuse I would like to show you all the new changes that we are preparing for the game. I've changed the name of the game, the reason is simple, I think with this new name is super sci-fi and is perfect because people could relate the game to the name of the company, I think is a good change, it's better name to remember and to find, I hope everyone will love it like I love it. It took me a lot of time but finally I have a sketch with the future style of Farlight Explorers, yay. 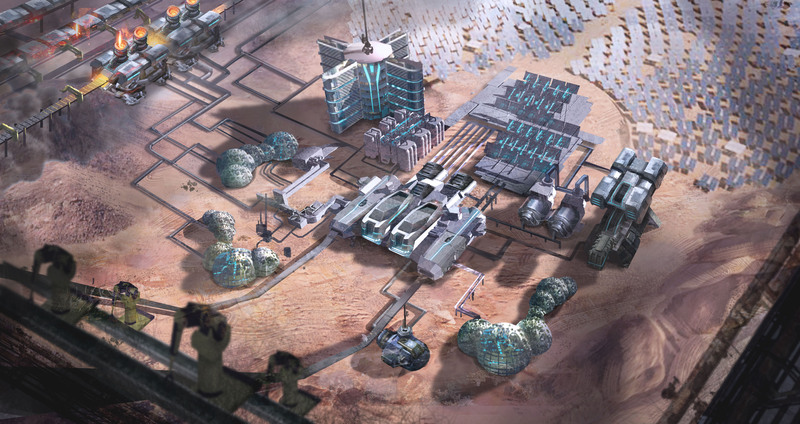 I decided for mix between futuristic and industrial style, As you can see is a global picture of a base with all the important elements, I expect to have more pictures and concepts of each building, I will start with the most important like furnace, solar generators, ore extract station... after that I will work to the concept of the spaceships. Once I have some pictures I will start to show some models in 3d, I hope you like the new style.I apologize about the delay but It take time to decide the style and find a good concept artist. but I'm happy with the work and I think step by step we will have a great game to play. 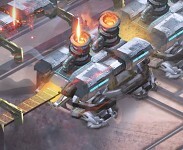 The building that We are going to start to work on a more detailed picture is the Foundry. Soon I will show all the parts that the foundry will have. One of the most important part is the furnace and the other the robotic arm. I made a new video where you can see how the collision of the spaceship works.